Our virtual receptionists will increase your efficiency and help grow your business. While you run your business, our virtual receptionists will take care of your customers. We have your back, 24/7. 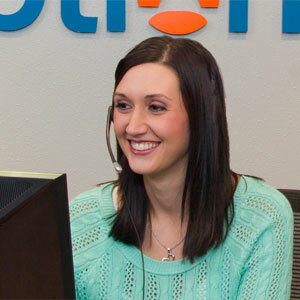 Our virtual receptionists are here for your business all day, every day. My Receptionist provides virtual receptionist service and front office support to small businesses and entrepreneurs of all types. Virtual receptionist services include phone answering, message taking, call transferring, appointment scheduling, appointment reminders, gift card processing, CRM integration, and much more! We’re here for your business when you can’t be. Looking to join a fun, dynamic work environment? We may be just the place for you! Apply today and we’ll get back to you. Ready to talk about how My Receptionist can go to work for you? Let us know what you’re looking for and we’ll get the process started! Check out our blog for virtual receptionist tips and trends, as well as the latest happenings around our virtual receptionist office!